Need TV Installation in Brisbane? TV wall mounting can be tricky if you don’t know what you’re doing. Contact AV Everything and a qualified technician will install your TV, leaving you with one less techno issue to deal with. Kids and non-wall mounted TVs don’t mix well. Do you have toddlers at home or other children who visit? Little folk have a tendency to decorate TV screens with fingerprints. Have your TV installed on the wall by a Brisbane professional and you won’t need to worry about cleaning sticky stains from your television screen anymore. Years ago, you wouldn’t have thought twice about sitting your TV on a cabinet. That’s what everyone did. Technology has improved and TVs have lost weight. Having said that, back in the day, bulky TVs were much sturdier than the newer flat screen televisions you buy today. Therefore, it is easier than you think to knock your flat screen TV from its cabinet position. Particularly so when you have kids and pets around the house. Not only can TVs be damaged in such instances, but an unexpected TV fall could seriously injure you or your child. Get a Brisbane-based TV installation firm to wall-mount your television and you will avoid any damage to yourself, your kids or your equipment. Flat screen televisions take up a lot of room because they are pretty gigantic. Get a Brisbane TV installation firm to wall-mount your television and you’ll be saving lots of space. You could even ditch your TV cabinet completely, if you want to. Not only that, but wall-mounted TVs present well and look much tidier, too. Did you know that having your TV installed onto the wall by a Brisbane TV installation firm is going to be better for your health? That’s right, folks, wall-mounted televisions will alleviate your neck ache and reduce eyestrain—when installed correctly, of course. You’re probably wondering how you can integrate your television sound system with your TV when it is wall- mounted. You might have an expensive surround sound system or a sound bar; either can and will be integrated into your wall mounting installation. Brisbane TV installation firm AV Everything employs technicians who are fully versed in such technology. A qualified technician will wall-mount your TV by concealing cables into a frame wall. The same goes with your TV sound system. Many of you own sound bars for your TVs. Sound bars are a common, inexpensive option for maximising the in-built speakers of your TV. You’ve probably seen a lot of images showing wall mounted TVs with a sound bar fitted directly underneath. You might consider leaving your sound bar on your TV cabinet. Bear in mind that larger sound bars have been known to block out the TV remote signal if placed incorrectly. Have a chat to your Brisbane TV installation technician, who is trained to know the best spot to wall-mount your sound bar. Do you own surround sound systems, home theatre speakers or media players for your televisions? That’s ok, Brisbane TV installation professionals will wall-mount all of your equipment with the necessary brackets and cables. If you don’t own any sort of additional sound system accessories yet, but would you like to, have a chat to AV Everything for some advice about what would be best for your needs and budget. Can’t I wall-mount my TV myself? It might seem a no-brainer, but you’d be surprised how easy it can be to get your mount and TV level wrong. Drywalls and plaster can cause problems. Do you know how old your wall is and the condition of it? Crumbly walls are difficult to work with. Likewise if your wall is flimsy. You have to think about the weight of your flat screen television versus the wall. When in doubt, call in the services of a Brisbane TV installation firm. Your wall stud is the vertical support that makes up the frame of your wall. What you want is to find your wall studs to mount your TV wall bracket onto. Do you know how to do that? You can buy an electronic stud finder, expensive ones being more accurate. Alternatively, you could try the old-school way of knocking on your wall to find the stud (it being in the spot where you don’t hear a hollow sound). Not wise for beginners, though, as again there is room for disaster. Imagine spending the time and money to wall-mount your TV, only to find it isn’t stable. You will be far better off booking in a technician from a reputable TV installation Brisbane-wide firm such as AV Everything to do the job right the first time. It is far better that you avoid a situation where your television will fall from your TV wall mounting. Unless you are completely confident you know what you are doing, book in a company that specialises in TV wall mounting in Brisbane. Avoid unnecessary techno woes by calling in a contractor to establish the best place and way to install your TV to the wall. At AV Everything, it is our job to wall-mount TVs in Brisbane. What can AV Everything do for you? Home installation. At AV Everything we are specialists in audio and visual home technology. Whether you’re on the hunt for a Brisbane TV installation firm, a TV wall-mounting technician in Brisbane, or you’re going for a full home theatre system, AV Everything will take care of all of your techno needs. Range of audio visual equipment to buy. It isn’t all about TV wall-mounting in Brisbane. AV Everything also stocks a range of top-notch, quality branded audio visual equipment and products. If you’re on the lookout for a new television or set of speakers, we can supply you with the equipment you need. If you are in the market for a brand-new TV, buy your equipment from AV Everything and you will be provided with one 20-minute demonstration on how to set up and familiarise yourselves with your new television. 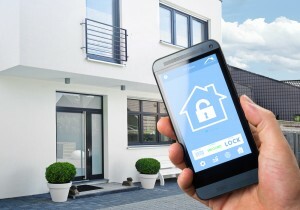 Home automation. Perhaps you simply need a solution to unify your home audio visual controls. 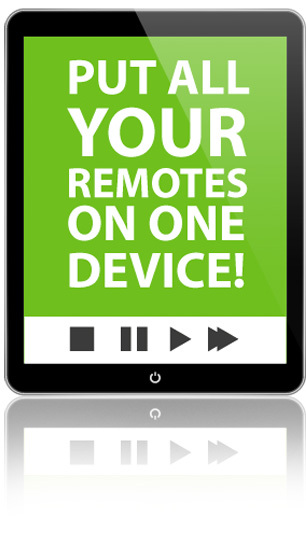 Do you, for example, own a handful of remote controls for your equipment? How annoying, particularly when you’ve lost one. AV Everything will be able to help consolidate your devices, so you don’t have to use numerous controls for your home equipment. This is called home automation and it connects various gadgets so that they ‘talk to each other’. Your wall-mounted TV, Blu-ray, stereo and speakers can all be managed through one central point: your home automation. Expert knowledge - We employ expert technicians in all types of audio and visual. AV Everything technicians ensure that your system functions to its full potential, to give you the best audio visual experience for your home. We have over 15 years’ experience in the business. AV Everything was established in the year 2000. With 15 years’ industry experience, we provide you with expert and professional advice in all things audio visual and home theatre. Audio visual is what we do, and we do it well. We know what we’re talking about. Technology is changing so rapidly, it can be hard for you to keep up. We understand it is overwhelming for you as a customer looking for solutions for your home audio visual needs. We answer your questions related to home technology, to bring you up to speed on all the latest equipment. You’re after a local business to wall-mount your TV and that is why you’ve stumbled upon AV Everything—because you want your technology put into the hands of the experts. During a TV installation, our team will not only guarantee stability, but will use every possible method to ensure your equipment and walls remain intact. Why risk damaging your walls or equipment? There really isn’t any point in trying to wall-mount a TV by yourself when the experts are just a call away. Leave your Brisbane TV installation and wall mounting to the experts. Book in for your free audio and visual consultation by calling Ian at AV Everything on 0418 737021.